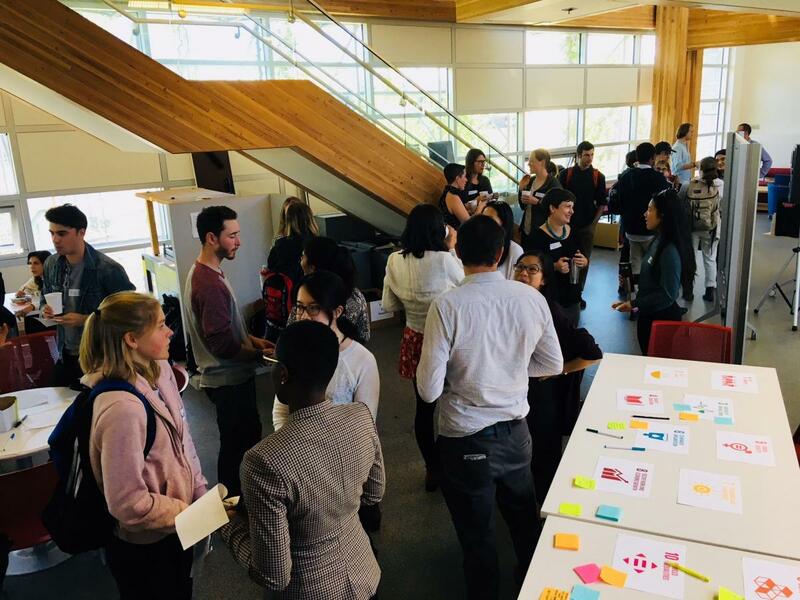 This week UBC's Sustainability Initiative invited students, faculty members and staff from across UBC to attend a Sustainability Welcome Event. The Centre of Interactive Research on Sustainability (CIRS) was filled with energy as attendees from various student sustainability groups and campus departments came together through a fun round networking bingo, and shared ideas for potential collaborations to elevate wellbeing and sustainability action across campus. Student sustainability groups at the event included the new cohort of Sustainability Ambassadors, and members of the Student Sustainability Council, Student Sustainability Network, UBC Climate Hub, UBCC350, Common Energy, Sprouts and more. Staff from the USI Teaching, Learning & Research Office, UBC Campus and Community Planning, UBC Wellbeing and the Indigenous Research Support Initiative shared their work on campus and invited students to engage with them on ongoing learning opportunities. Students had the chance to interact with professionals in all areas of sustainability operating through CIRS, and engaged in conversations surrounding curriculum, research, and sustainable initiatives on campus. Attendees mapped out their ideas through the United Nations Sustainable Development Goals. The Sustainability Welcome Event was a great way to celebrate UBC's sustainability community and kickstart the new academic year. We are looking forward to work with students on new collaborations to build on the great work already being done on campus!